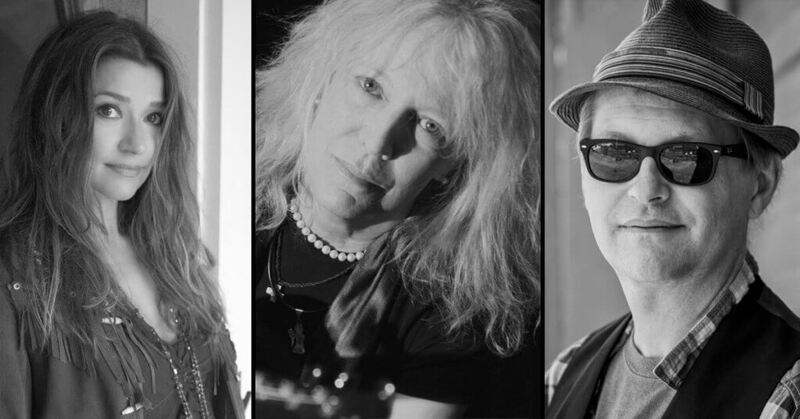 Matraca Berg, Marshall Chapman, and Tommy Womack will share the stage at Natalie’s for an amazing evening of music. Berg, who rarely performs live, is one of the youngest people ever elected to the Nashville Songwriters Hall of Fame. She has written hits for Reba McEntire, Patty Loveless, Trisha Yearwood, Suzy Bogguss, Deana Carter (“CMA Song of the Year “Strawberry Wine”), Sara Evans, Faith Hill, Gretchen Wilson and Kenny Chesney and Grace Potter (“You and Tequila.”) Marshall Chapman’s songs have been covered by everyone from Jimmy Buffett to Joe Cocker; from Wynonna to Irma Thomas; from Dion to John Hiatt. She also has two great books, “Little Rock and Roller” and “They Came to Nashville.” Singer-songwriter, author, humorist Tommy Womack got his start with the legendary post-punk and college radio faves, Government Cheese (who’s story is immortalized in Tommy’s cult classic book “Cheese Chronicles”). Tommy’s songs have been covered by Jimmy Buffett, Todd Snider, Jason and the Scorchers, the Del Lord’s Scott Kempner, and others.